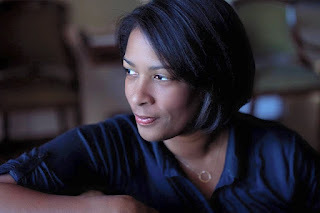 U.S. Embassy, Port Moresby:The U.S. Embassy in Port Moresby is pleased to present internationally-acclaimed American documentary filmmaker and founder of Production CompanyTrilogyFilms, Dawn Porter, at a variety of venues in Port Moresby from March 1 – 11, 2017. Dawn Porter’s visittoPort Moresby is part of the American Film Showcase programsupporting the Embassy’s programs and initiatives empowering women, addressing gender-based violence and keeping girls in schools. Porter will highlight the importance of women’s entrepreneurship in her first meeting at the Women Business Resource Center. Porter’s visit will also feature engagements with film/documentary producers and students at the University of Papua New Guinea; emphasizing the impact that visual arts and film can have in eliminating gender based violence, discrimination, and supporting other social justice related topics. Porter is a 1988 graduate of Swarthmore College and Georgetown University Law School. Trained as an attorney, she became a filmmaker and financed her first film with assistance from the Ford Foundation. Porter started her film career by working as executive producer for various films. In 2009, she executive-produced director Jon Bowermaster'sTerra Antartica, Re-Discovering the Seventh Continent, a 49-minute documentary exploring the Antartica Peninsula and its evolution. In 2009, she also co-executive produced two other films: Serious Moonlight, and What Would Darwin Think? Man v. Nature in the Galapagos. In 2011, she co-executive produced The Green, a romantic drama feature film directed by Steven Williford. Porter's directorial debut was the 2013 documentary film Gideon's Army, about three black public defenders working in the Southern United States. The film premiered at the Sundance Film Festival in 2013, where it won the festival's "Documentary Editing Award". The film also won the Creative Promise Award at the 2013 Sundance Film Festival. Gideon’s Army premiered on HBO in July 2013, and was later nominated for an Emmy Awardand an Independent Spirit Award for Best Documentary Feature. The film also won the Ridenhour Award for best documentary film in 2014.